Missing teeth can make it difficult to eat and speak properly, and they can also affect how confident you are in your appearance. Fortunately, at Signature Smiles, we offer dental implants at our Woodinville practice. Implants are surgically-embedded posts which are designed to offer lasting support to permanent synthetic teeth. They are widely considered to be the best restoration option available. To learn more about dental implants and your candidacy for the procedure, call our office and book your consultation today. If you choose to receive implants, your dental prosthetic will be composed of three parts: an implant post, an abutment piece, and a restoration like a denture, bridge, or dental crown. To place an implant, Dr. Wu will surgically place a titanium post in your jaw. Titanium is completely biocompatible, and as your bone heals, it will grow around the post. This process, known as osseointegration, enables the implant post to function as a natural tooth root and to form a stable base for the restoration. Once healing is complete, the dentist will place an abutment piece on the top of the implant post, and attach a lifelike dental prosthetic to it. Your restoration will be custom fabricated to match your surrounding natural teeth, and your dentist can use implants to replace any number of teeth. To qualify for dental implants, you should be in good physical and oral health, and you should be committed to proper dental hygiene and implant maintenance. You should also have a sufficient density and amount of jawbone structure to support the implant posts. Fortunately, if you have a compromised jawbone, our team can also perform bone grafting procedures on-site. This procedure can strengthen your jawbone and improve your chances of being a good candidate for dental implants. Implant-supported restorations offer a number of noteworthy advantages. Perhaps the most obvious benefit is their highly lifelike appearance. Because implants have a permanent base, there are no visible clips or brackets to hold your prosthetic teeth in place. 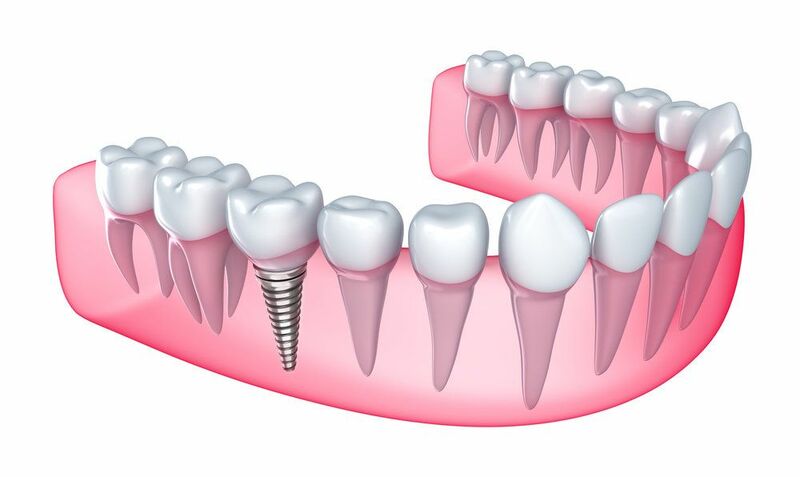 Additionally, unlike some other tooth replacement options, implants never slip out of place. Not only does this make implants look more natural, it also enables them to function and feel more like your own teeth. With implants, you will not have to make any dietary adjustments, and they can be cared for just like your natural teeth. Finally, implants also protect your overall oral health. When you are missing teeth, your jawbone will begin to lose volume. By replicating the dental root, as well as the tooth itself, implants help to guard against bone loss. At Signature Smiles, we proudly utilize the latest in dental technology. Our dentists use computed tomography (CT) scans for more precise implant placement. CT scans provide a precise, 3D view of your mouth, including the structure of your jawbone. Using this technology, we can plan the best placement for your implant posts, and also determine if you might need a bone graft or sinus lift before your implant procedure. Our practice partners with the renowned Nakanishi Dental Lab® to provide you with the finest, most natural looking dental restorations. This family-owned lab is located here in Washington, and uses the strongest and most advanced materials to provide you with beautifully crafted, personalized dental restorations. You can learn more about implants and how they can benefit you during a consultation. Call Signature Smiles and book your appointment with Dr. Wu or Dr. Dowd today.